Author: Ford, G.M. Set In . . .
Arizona's Meza Azul penitentiary is the pride of the state's newly privatized penal system -- a modern technological wonder, unassailable and inescapable, built to hold the worst of the worst. Yet, inconceivably, one prisoner has managed to breach the foolproof security, set loose the other inmates, and take control of the facility -- holding more than one hundred guards and workers hostage. And one hostage will die every six hours until Timothy Driver gets what he wants: Frank Corso. A rogue journalist and confirmed lone wolf, Corso wrote a bestselling book about the former U.S. Navy submarine commander who was convicted of slaughtering his wife and her lover in a jealous fury. Now, unwilling to be responsible for the death of innocents, Corso allows himself to be delivered into the bowels of Meza Azul -- and into the hands of a crazed hero turned criminal. But Captain Driver wants more than the ear of a once-sympathetic writer who will tell his final story tough and truthfully. Accompanied by a cold-blooded hayseed murder machine named "Cutter" Kehoe, and with Corso in tow, Driver pulls off a brilliant and undetected escape, right under the noses of armed government troops as they storm the captured prison. 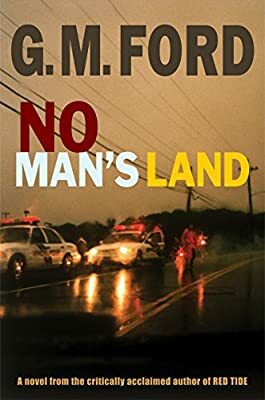 Suddenly a helpless spectator along for the ride on a maniacal cross-country killing spree -- with a tragic and beautiful TV journalist doggedly pursuing the story, heading inexorably into harm's way -- Corso finds himself in no man's land. If he's lucky, Frank Corso may get one slim chance to escape the clutches of a psychopathic duo determined to go out in a blaze of blood and terror. But if he's not, his own story -- and too many others -- will end abruptly and brutally.